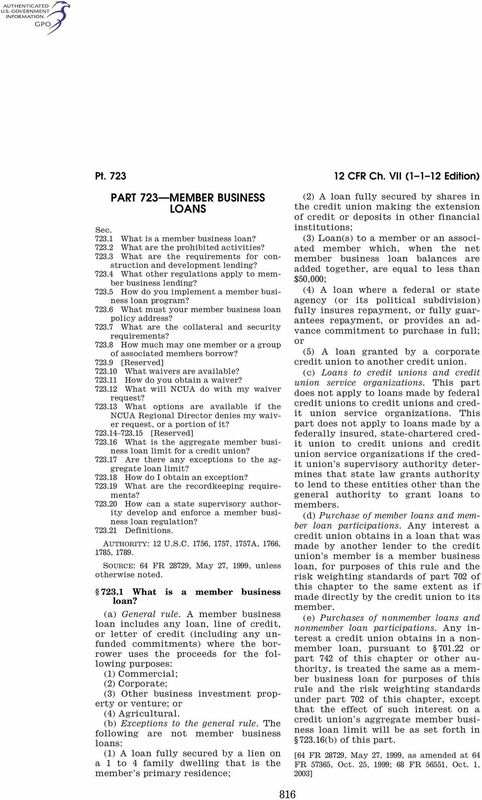 Download "PART 723 MEMBER BUSINESS LOANS"
1.1504 1 (iii) Not in-the-money option. (iv) Exercise price. (v) Time of exercise. (vi) Related or sequential options. (vii) Stockholder rights. (viii) Restrictive covenants. (ix) Intention to alter value. 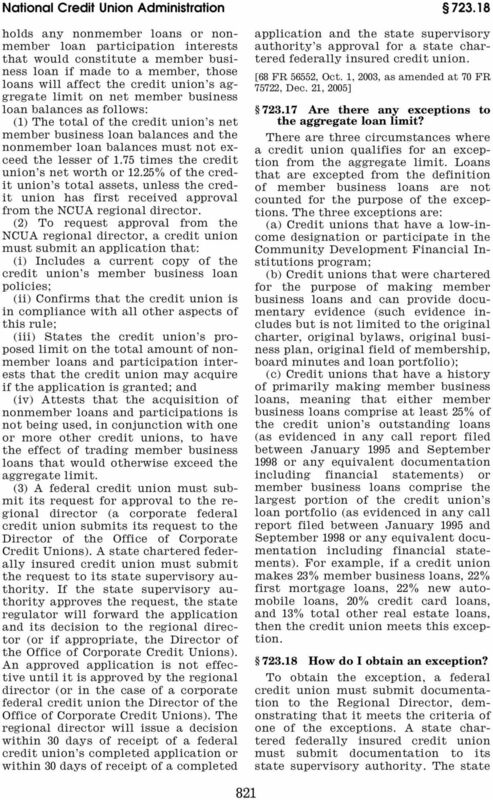 (1) 209 CMR 50.00 shall apply only to credit unions as defined by 209 CMR 50.04. 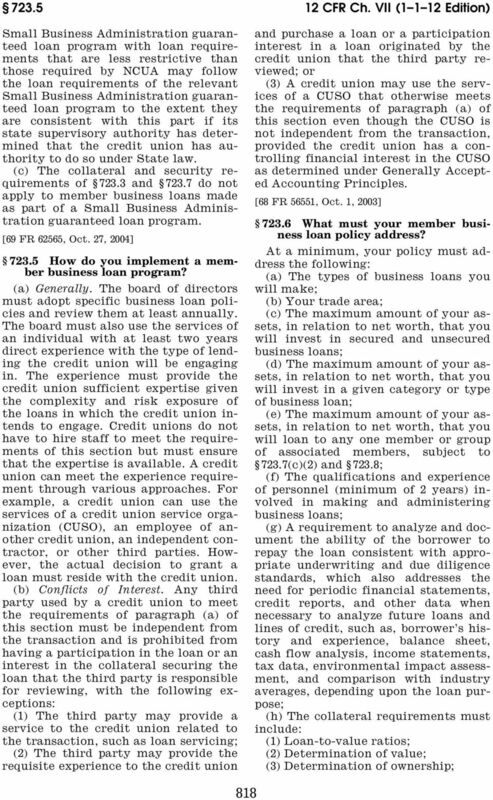 HOUSE OF REPRESENTATIVES STAFF ANALYSIS BILL #: CS/HB 845 Reverse Mortgage Loans to Senior Individuals SPONSOR(S): Insurance, Business & Financial Affairs Policy Committee, Legg TIED BILLS: IDEN./SIM. Part 716. Privacy of Consumer Financial Information and Appendix. 716.1 Purpose and scope. 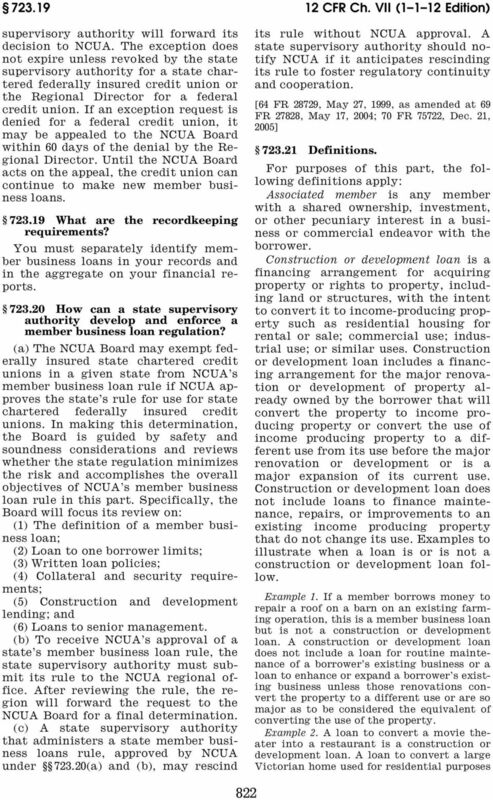 716.2 Rule of construction. 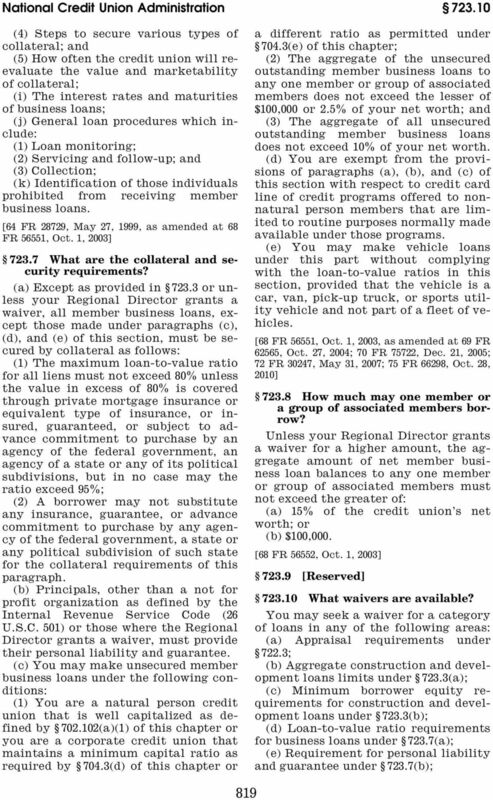 716.3 Definitions. Federal Motor Carrier Safety Administration, DOT Pt. 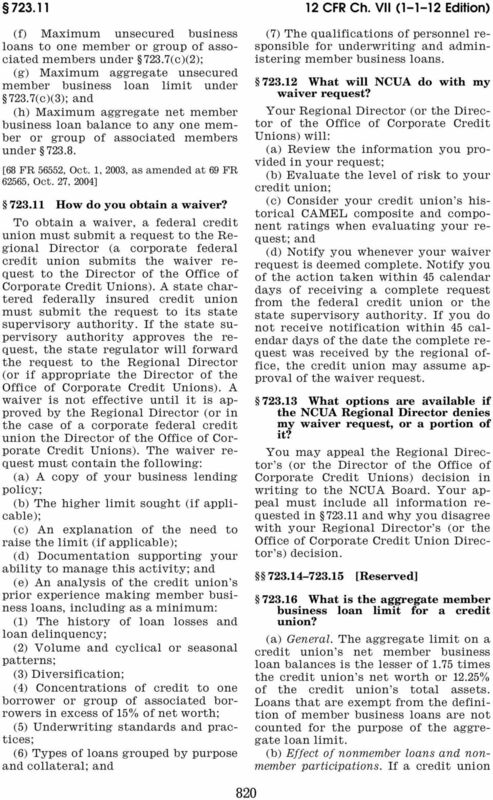 376 SUBPART I RESOLVING DISPUTES WITH MY MOVER WHAT MAY I DO TO RESOLVE DISPUTES WITH MY MOVER? Pt. 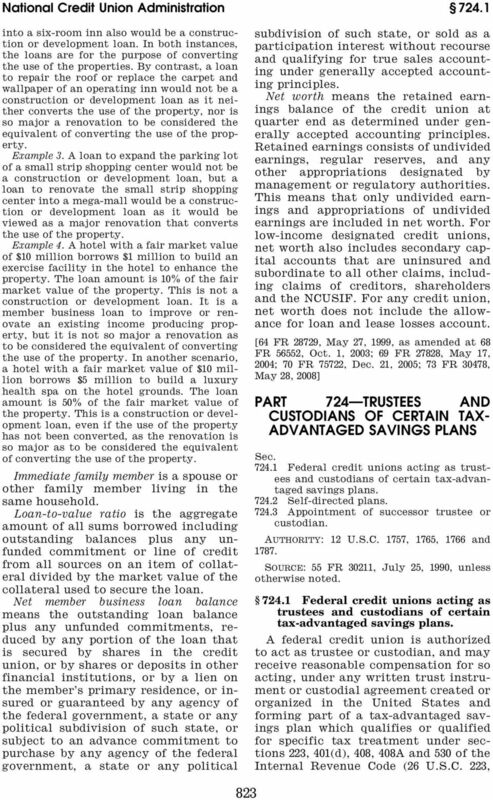 1024 1024.20 List of homeownership counseling organizations. 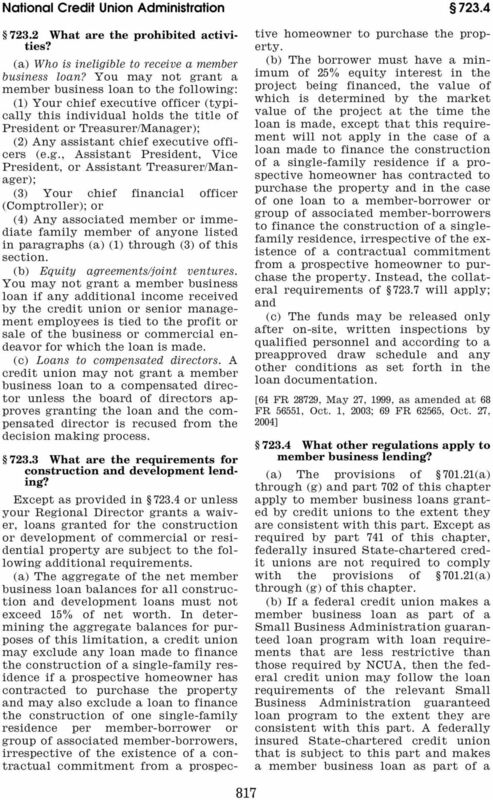 [77 FR 67754, Nov. 14, 2012] PART 1024 REAL ESTATE SETTLEMENT PROCEDURES ACT (REGULATION X) Subpart A General Provisions Sec. 1024.1 Designation.